view the manifest file for analysis. Fig. 2. The result of the analysis. We go further. In fig. 3 shows information on the certificate that signed the application. 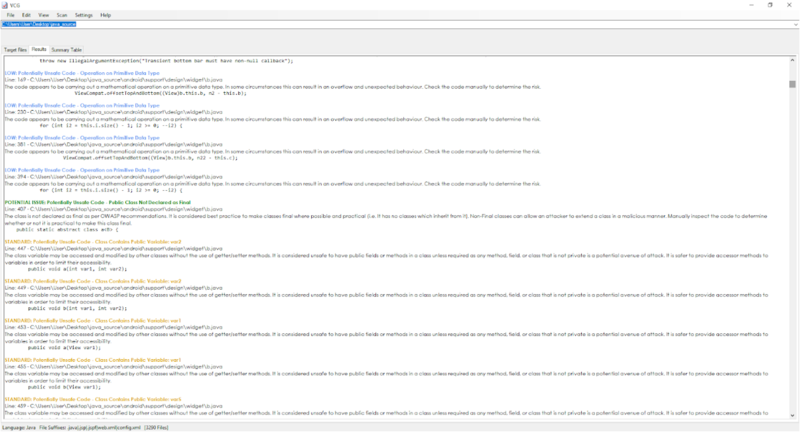 The following is a description of the permissions analysis, which are described in the AndroidManifest.xml file (Fig. 4). 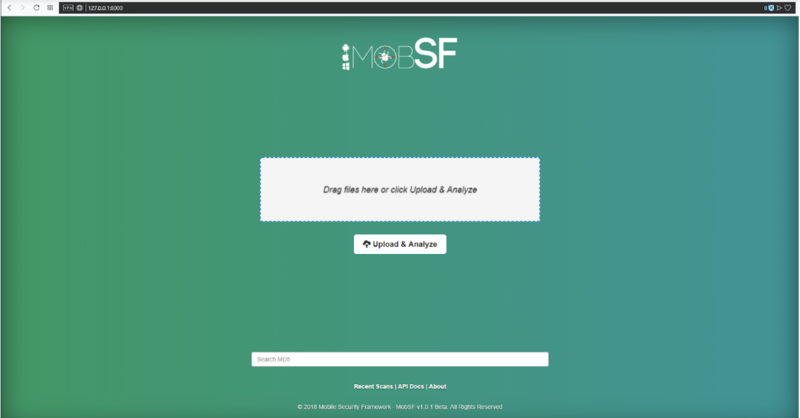 MobSF analyzes the permissions of the application, determines its status, for criticality and the description of permissions. 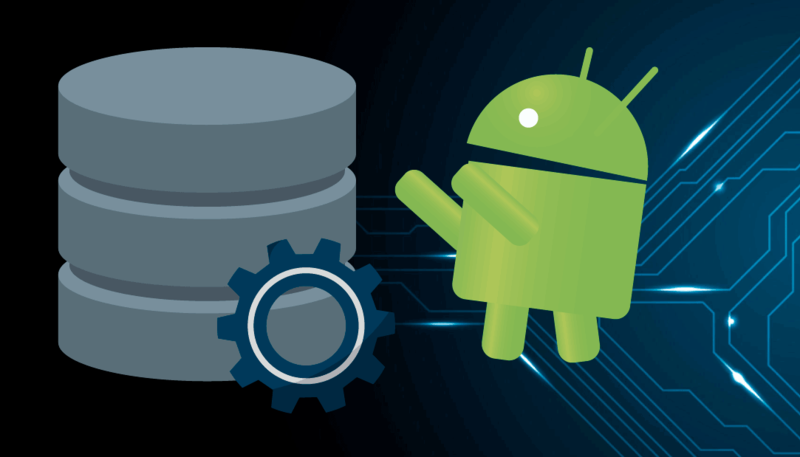 Here you need to understand the architecture of the Android OS for the actual criticality of the application. The Security Analysis -> Code Analysis tab (Figure 5) shows the result of the analysis of java-code by a static analyzer, which identifies potential vulnerabilities, determines their criticality and the files in which this type of vulnerability was found. In many ways, these results are false positive, but you need to recheck it all. The next tab (Fig. 6) is the analysis of files on the virustotal.com service. In this case, the file was not detected as infected. The URLs tab (Figure 7) displays the list of URLs, IP addresses and the files in which they are stored or called. This section analyzes where the application sends the data or where it stores the information. The “Strings” tab (Fig. 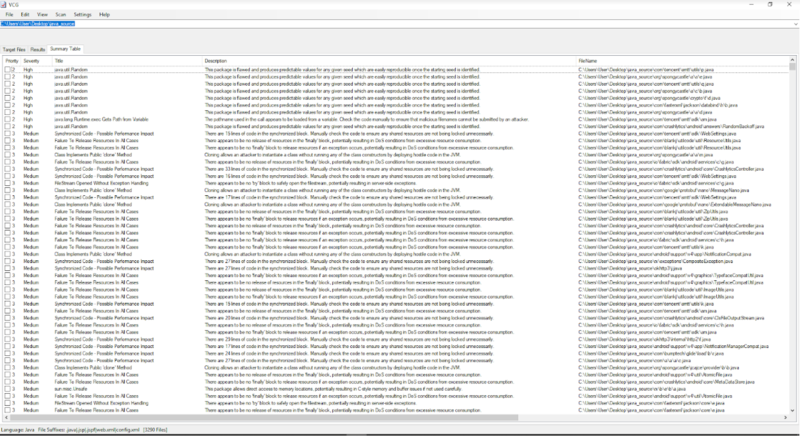 8) analyzes the text files that are in the res directory. When analyzing an application, these files may contain hard-to-find accounts and other sensitive data. Although in my memory this was not. Fig. 8. Analysis of text files. 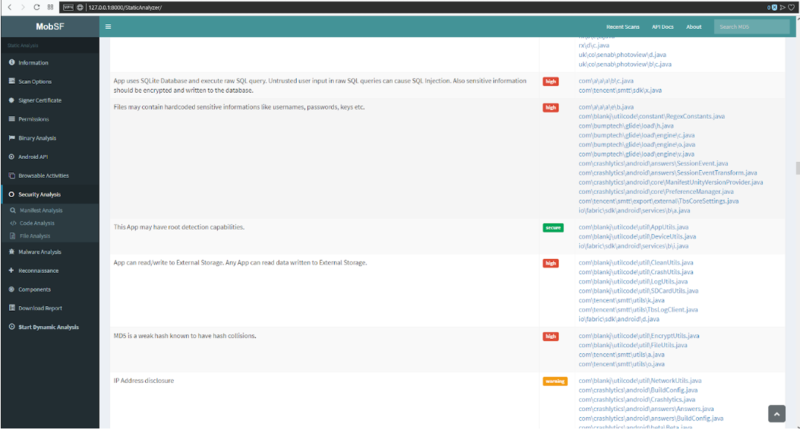 The “Components” tab (Fig. 9) displays a complete list of components (activity, service, content provider and receives), imported libraries and files without defining an extension. Fig. 9. List of components. Additionally, the source code can be analyzed using the VCG scanner static analyzer. VCG needs source code. The source code can be downloaded via the Download Java Code button (Figure 10). The file is downloaded in a zip archive. Next you need to extract the folder with the files from the archive (Fig. 11). Fig. 10. Downloading source code. Fig. 11. Extract the source code. In the “Settings” tab, select the “Java” item - Figure 12. 3-333201. In the “File” tab, select “New Target Directory” - Figure 13. 3r3-33201. In the “Scan” tab, select “Full scan” - figure 14. Fig. 12. The choice of source code. Fig. 13. Uploading the file directory. After the scan is completed, the scanner issues the names of the vulnerability, its criticality, a brief description and place in the source code (Fig. 15). You can get a complete list of vulnerabilities and sort them by their criticality (Fig. 16). Fig. 15. Description of vulnerabilities. Fig. 16. Full list of vulnerabilities. the analysis of any applications from the client that came to Pentest begins with it.